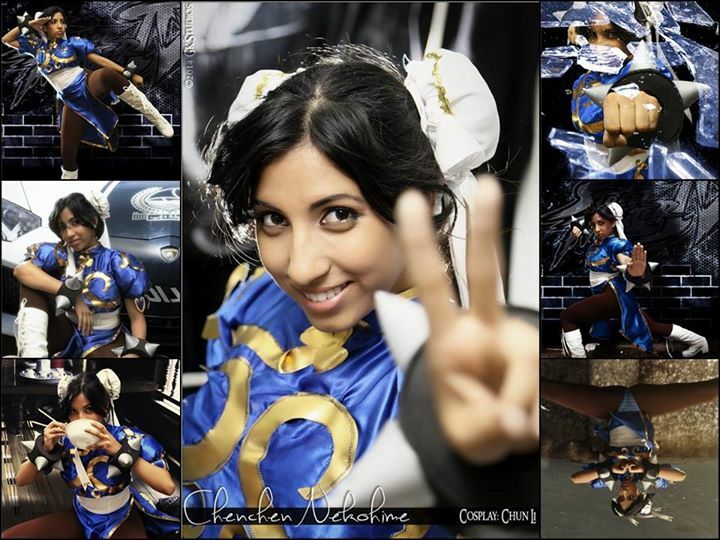 Chenchen is the first Trinidadian cosplayer on our list! 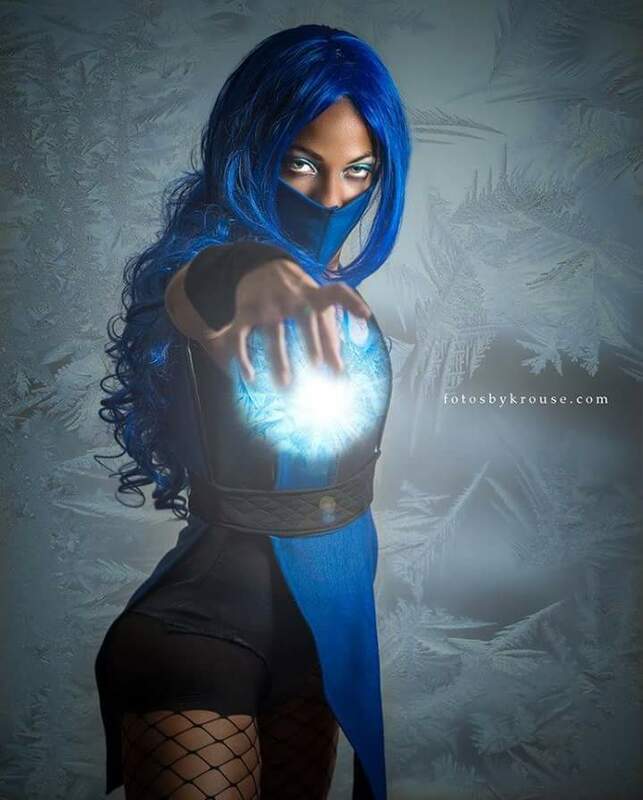 Her first documented cosplay was back in 2014 and she has a plethora of work under her belt. From Lollipop Chainsaw to Street Fighter to League of Legends, you can tell that her specialty is cosplaying gaming characters, though she is not limited to only that media. The Horizon is a Barbadian cosplay group consisting of two girls, Sky and Cloud. They first started cosplaying back in 2013 and work has grown a lot since then. In 2014 they won their first group cosplay competition at Animekon Expo with their Team Rocket (Pokemon) cosplay which wowed the crowd. They started a streak the following year when they once again impressed at the Animekon Expo cosplay competition group section with their hilarious Disney Princesses (Belle and Cinderella) performance. As the first (and only?!) male cosplayer on the list, Ioen who hails from Barbados describes himself as being a web developer and gamer as well. He first hit the scene with his back in 2013 when he cosplayed as Obito from the Naruto franchise. The following year, he tried his luck at competing with his peers. 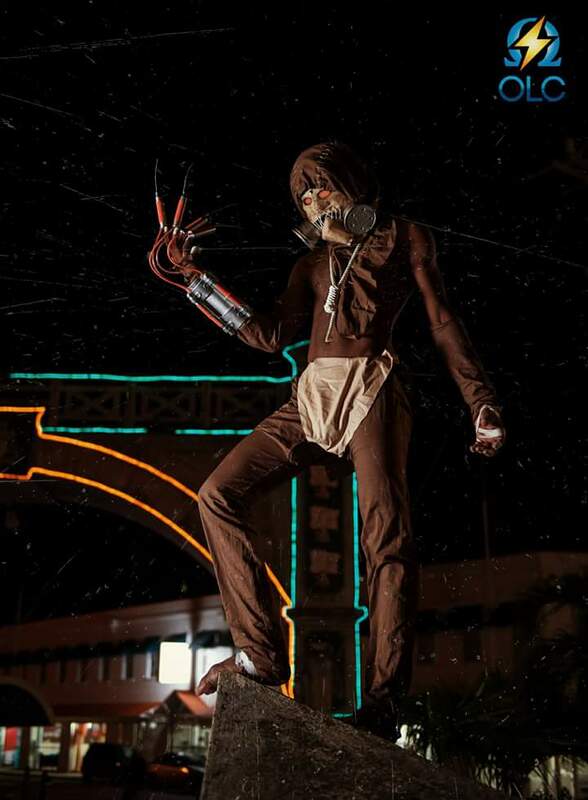 As Pyramid Head (Silent Hill) he won 2nd place at the 2014 Animekon Expo cosplay competition. He is best known for cosplays which do not reveal his face, leaving his real identity as a mystery for the masses. 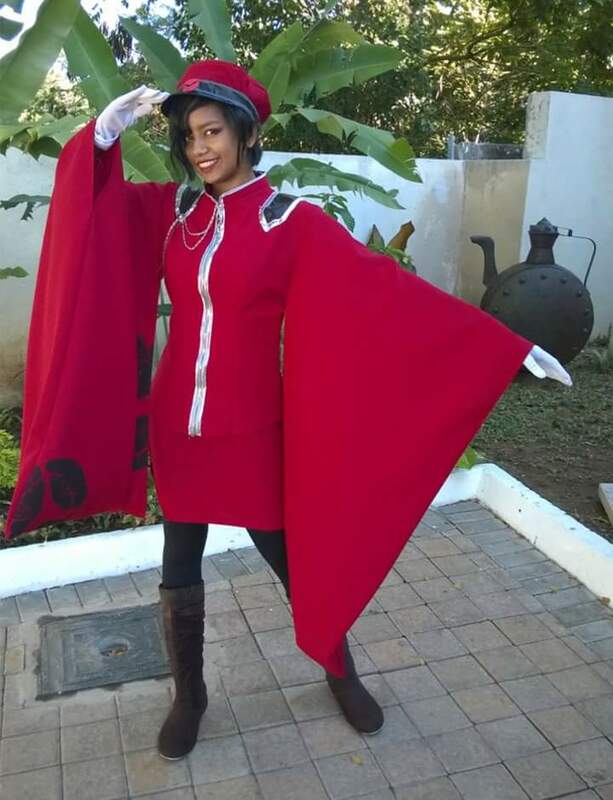 Kamri first started cosplaying back in 2013 when she attended Comicfest ’13 as Fire Nation Katara (ATLA). 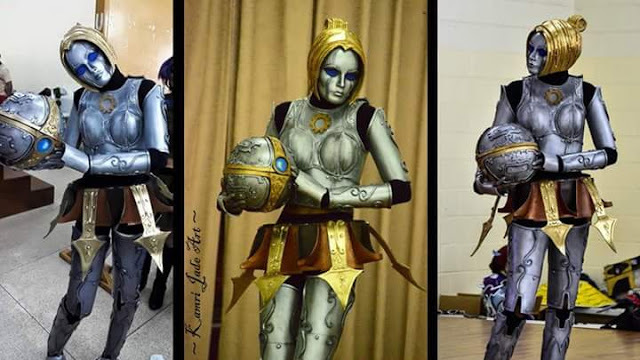 She wowed me last year at Animekon with her wonderful Orianna (League of Legends) cosplay. In fact she made such an impact that she was awarded ‘Best in Show/Judge’s Choice’ for her cosplay at the competition. Just a couple month prior to her win in Barbados, she got 2nd place at Animarket for the same cosplay. Lyonegra is another cosplayer from Trinidad, and has been cosplaying from since 2013. I first found out about her when she came to Barbados to attend Animekon Expo. There she placed 2nd for her Mileena (Mortal Kombat 9) cosplay. While it’s arguably her most popular work, she has also cosplayed Gerudo Guard (Legend of Zelda: Ocarina of Time) and Raven (Teen Titans). She has won a number of cosplays competitions over the years and I’m all too excited to see what she brings out this year. Misu is another cosplayer from Barbados. She first started cosplaying last year under the cosplay group ‘Trinity Cosplay’ along with Shasam Cosplay and Veena Lee Cosplay. While relatively new when compared to the other cosplayers on the list, the list of work under her belt is ever expanding. She has cosplayed as Poison Ivy (DC), Sub-Zero (Mortal Kombat) and Josie (Josie and the Pussycats). I’m curious to see who she’ll cosplay as next. I want to say that out of all the cosplayers featured on the list, Panterona might have been at it the longest. She first started to cosplay as far back as 2004 and with Rurouni Kenshin’s Battousai being her first cosplay. She won the Barbados Anime Kon Expo 2013 cosplay competition with her Demona cosplay which wowed the crowd with her special effects and performance. She receieved more attention with her 2015 Akasha (Queen of the Damned) cosplay, after Anne Rice saw the pictures of Panterona’s work and shared it with her fans. Panterona also won first place at the London Film and Comic Con Cosplay Championship with that very same costume. SallyWinx is another known cosplayer from Trinidad. She is best known for her ballroom styled dresses. Two such costumes of hers in that style won her first place at two local competitions in Trinidad. 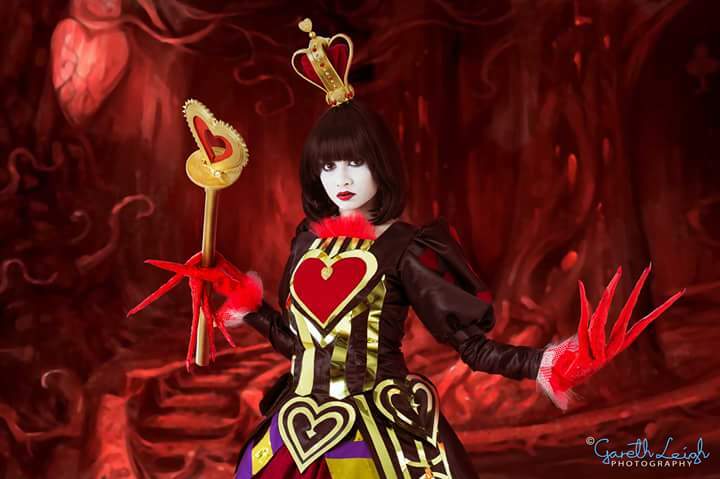 The first was her Queen of Hearts (Alice: The Madness Returns) cosplay back in 2014 at the AEX Caribbean Championship, the following year she wowed at Animarket with her Yukari Hayasaka (Paradise Kiss) cosplay. She is always sure to post up tutorials to her cosplays after she has reveals it. So if you want to learn how she tackles certain works, then just head over to her Facebook page. Shasam describes herself as a ‘Barbadian Cosplayer who does perler craft, sculpt, sew, games, draws on occasion and plays with her adorable puppy General Zod’. Shasam first started cosplaying back in 2013 (Two Face (DC)), and hasn’t looked back since. In the local community, she’s known as the go-to girl for cosplay commissions, having made costumes for many first time cosplayers. She also won first place at the Animekon Expo ’14 cosplay competition for her Akasha (Queen of the Damned) cosplay. As of the posting of this article, she has approximately 19 cosplays under her belt. She also a member of the trio cosplay group, Trinity Cosplay. 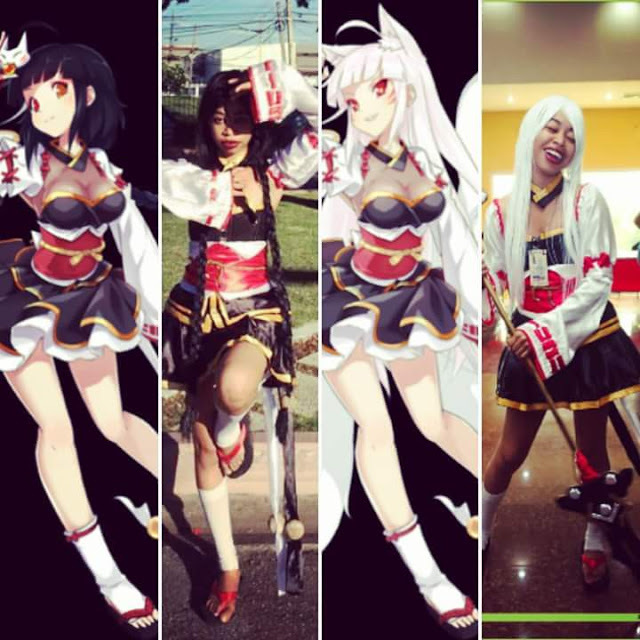 Silver Fantasy Cosplay is a Jamaican who made her journey into the cosplay world back in 2014. With her first documented cosplaying in being her Leafa (Sword Art Online) cosplay that earned her Top 7 at Anime Nation, she has been cosplaying consistently ever since. 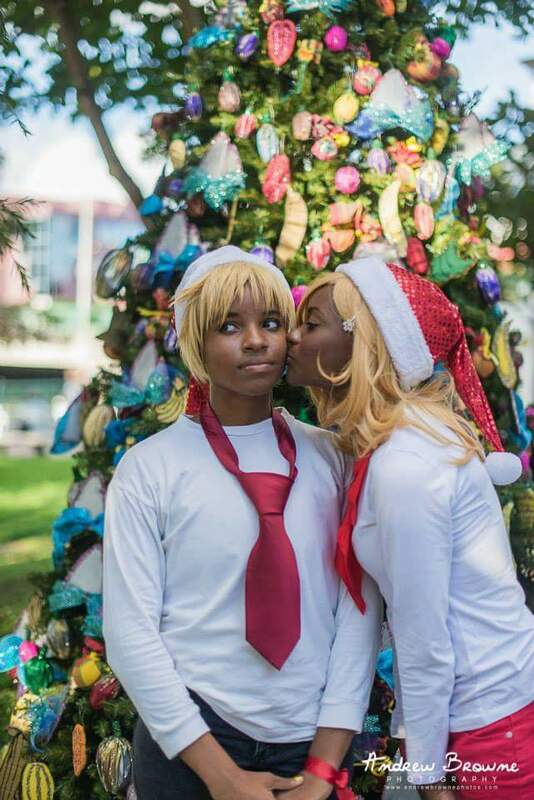 Sing Cosplay is another lady on our list from Jamaica. And she might actually be the first and only cosplayer on this list with her own Youtube channel as well. On her channel she posts tutorials for various cosplays, along with videos of events that she and others from her community have attended. Strawberry Pocky Costuming hails from the country of Trinidad and Tobago. She has been cosplaying from quite some time and even had a previous page that since been replaced with her current one. In terms of cosplaying and cosplayers, she stands out from the rest due to her preference for cute anime characters. 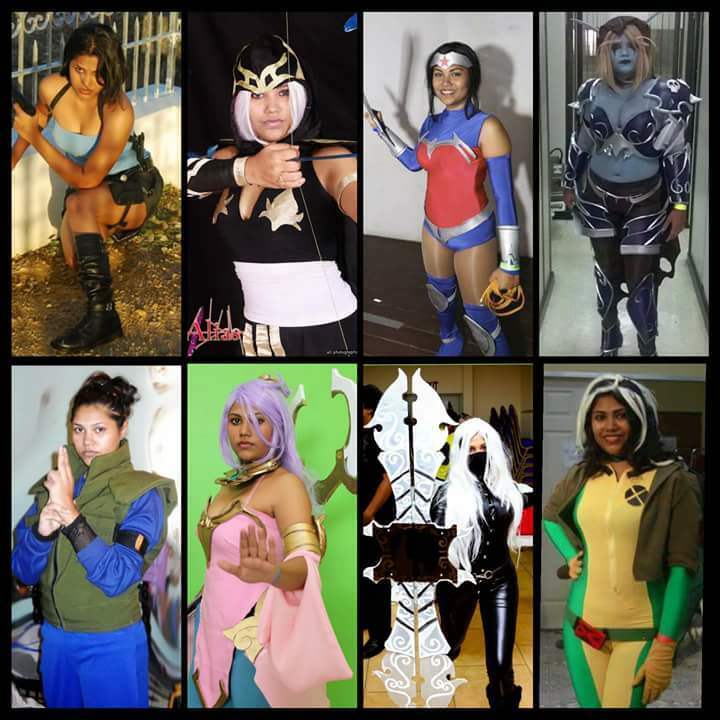 Trident Cosplay is another cosplay group from Barbados consisting of four women. The name ‘Trident Cosplay’ was chosen as it’s the prominent icon in Barbados, appearing on the country’s flag (as a broken trident). 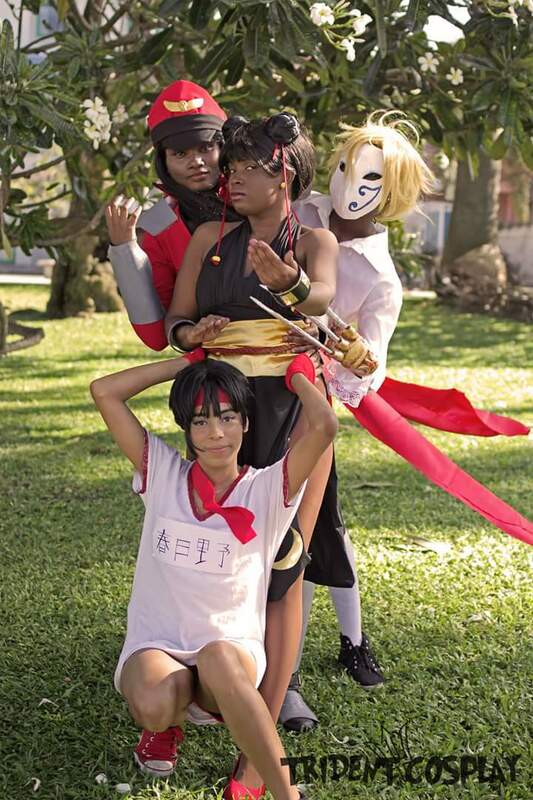 The group members are Jeanne, Lee, Lia and Spade and the group can be considered to some, the first cosplay group in Barbados. The members of this group are also the admins for the Caribbean Cosplayers Facebook group. The group has tackled group cosplays from franchises like League of Legend and Kill La Kill, will the individual members put out their own standalone cosplays, separate from the group. Veena Lee is a bubbly and fun cosplayer from Barbados. She first started cosplaying back in 2014, when she cosplayed as Catwoman (DC), that same year she placed fourth for her amazing Kratos (God of War) performance and cosplay. She’s the third and final member of Trinity Cosplay. Not only is she an amazing cosplayer, but Veena is also a talented makeup artist and gifted singer. She has cosplayed from various series such as Wonder Woman (DC) and Jessica Rabbit. She’s yet another cosplayer that I’m excited to see grow and look forward to what she’ll wow us with this year. Xtina (or Christina) is the last cosplayer on our list and hails from Trinidad and Tobago. Her costumes are handmade by her with the help of friends and family. Aside from that, she also does commissions, so if you live in Trinidad and need a costume, prop or art piece, be sure to hit her up. 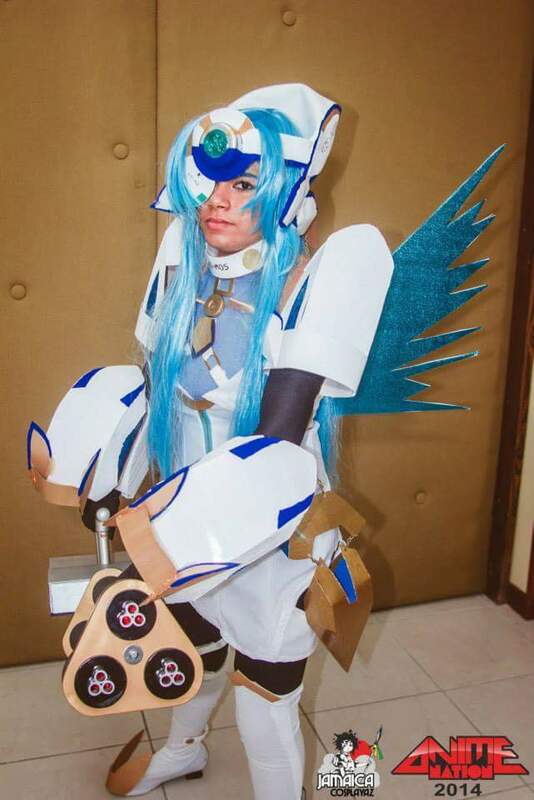 She first started cosplaying back in 2009, and you can see how far she has come. She has cosplayed from various series but the cosplays of hers that has stuck out the most to me are her League of Legends cosplays. With those, you can definitely see her attention to detail. So there it is guys, 15 cosplayers from around the Caribbean. If you can , please check out their Facebook pages. If you know any Caribbean cosplayers, feel free to drop their info in the comment section below! Previous Post 5 Bajan YouTubers That You Should Check Out! 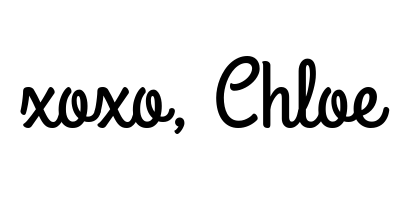 Next Post How I Got Into Crocheting And You Can Too!